Sakai Guides and DocumentationSakai Complete User Guide PodcastsHow do I edit a podcast feed? 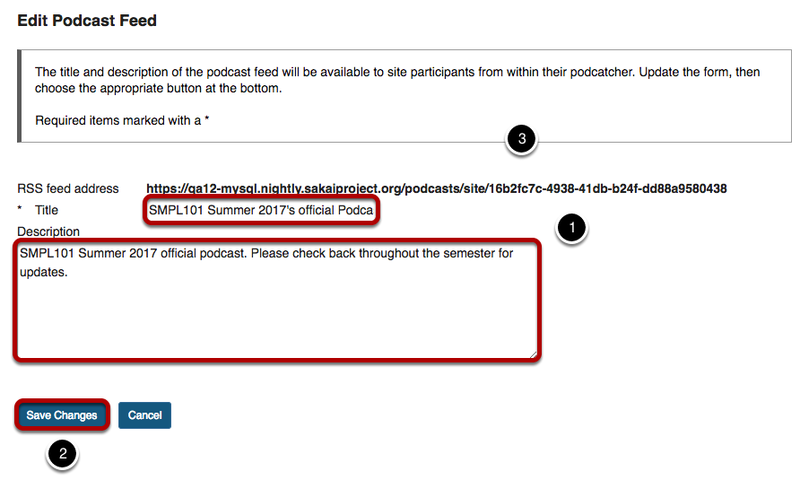 Select the Podcasts tool from the Tool Menu of your site. Click the Edit link under the podcast feed URL. Edit feed properties and Save Changes. Zoom: Edit properties and Save Changes. Edit Title and/or Description of feed. Prev: How do I edit a podcast? Next: What is the Polls tool?